Why has Security Scholar been so quiet lately? You may well ask. Well, fear not, Nat and I are both very much alive. As a few of you probably know by now, I’m in the process of undertaking a pretty big research project. 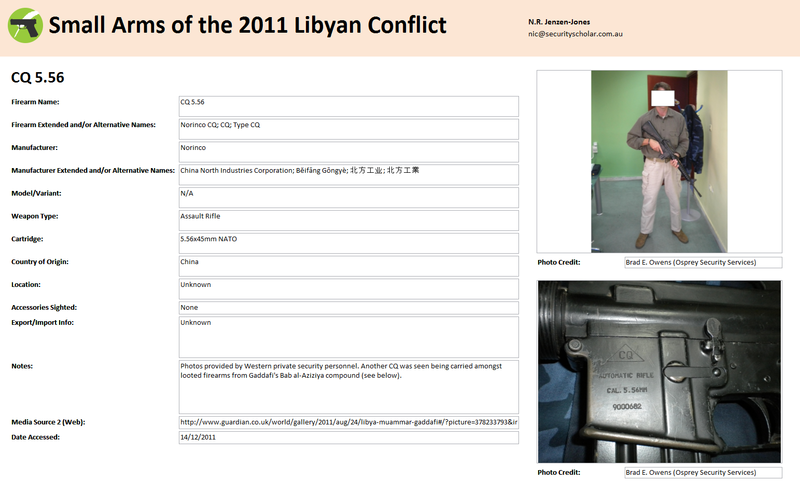 I’m attempting to compile a ‘complete-as-possible’ database of small arms used in the recent Libyan conflict. To do this, I’ve been collecting OSINT photos and video stills from a number of media outlets, social networking sites, and so on. I’m also working with some NGOs and PSCs on the ground in Libya, as well as having developed a few local sources of my own. I have a post up at my personal, more informal blog, The Rogue Adventurer. I would love any input from readers, particularly detailed photos of weapon receivers (serial numbers, factory marks etc.) or weapon crates, or just photos of unusual small arms that have cropped up. I’m also keeping an eye out for different types of optics that have turned up, for a smaller side project. Nat’s been pretty active as well. As many of you know she is travelling throughout Indonesia, conducting research on a few different topics and also brushing up her Indonesian language skills. You can follow her most recent adventures on her new blog, Notes From The Field. 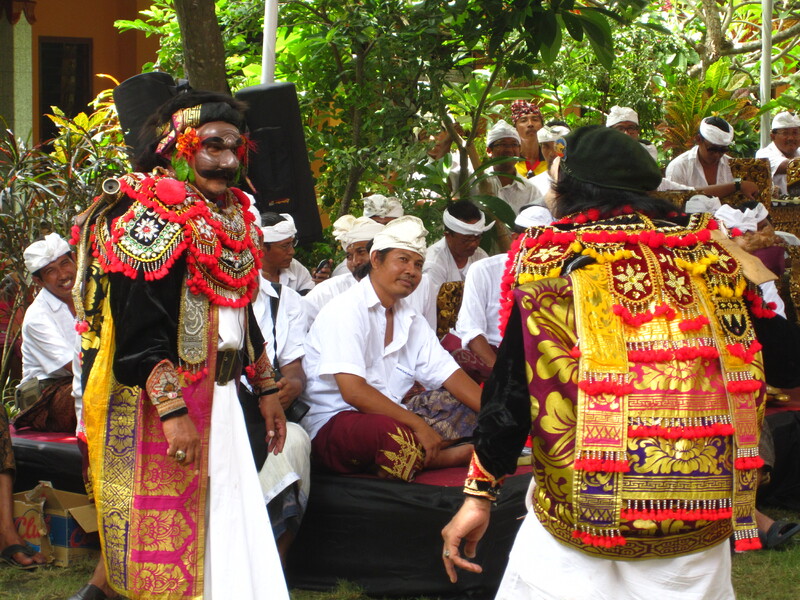 Her last few posts have explored the fascinating Balinese ceremonial traditions, showcasing everything from blessings given to firearms to cremations! As you can see, both of us are still working away. Nat continues to bring us fascinating updates from the field, and I’m up to my eyeballs in picture of unusual firearms that have cropped up in Libya. Business at Security Scholar is just as it has always been – unpredictable, unusual, and fascinating. In the meantime, don’t forget you can keep track of us on Facebook as well!